Before the 1965 Constitution, small towns dominated the House, where less than 10 percent of the state’s population routinely elected a majority of the members. Under the new constitution, each House district represented about 20,000 people. Only 20 were rural. Urban districts numbered 80, suburban ones 77. The Bridgeport, New Haven, and Hartford delegations in the House grew from two representatives to ten. 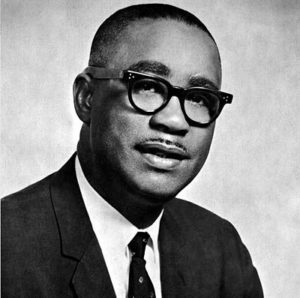 Boce W. Barlow, Jr., Connecticut’s first African American senator, won office in the first election under the new law, along with five African American representatives. Before then, in the long history of the General Assembly, only one African American representative had ever served. In 1970, a constitutional amendment changed the legislative schedule that had been in place since 1884. Reflecting its vastly increased obligations, the legislature would meet every year instead of every other year. Denied the vote for almost three centuries, women won leadership positions in the General Assembly in the 1970s and 80s. Cramped conditions at the Capitol made the business of governing increasingly difficult for both legislators and the public. 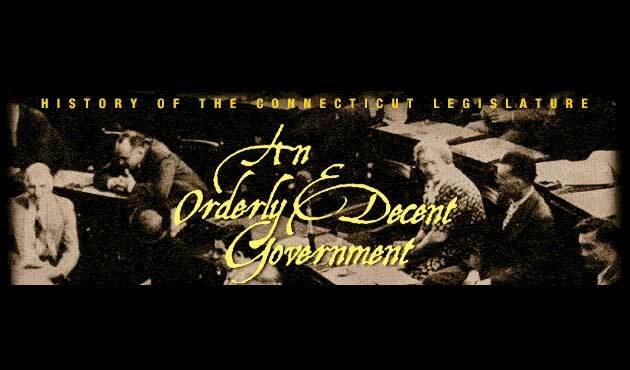 Legislators lacked offices, phones, staff or adequate meeting and dining areas. The new Legislative Office Building culminated the revolution in legislative operations that began with the Constitution of 1965. At last legislators had the resources, staff support, and facilities necessary to serve their constituents effectively.